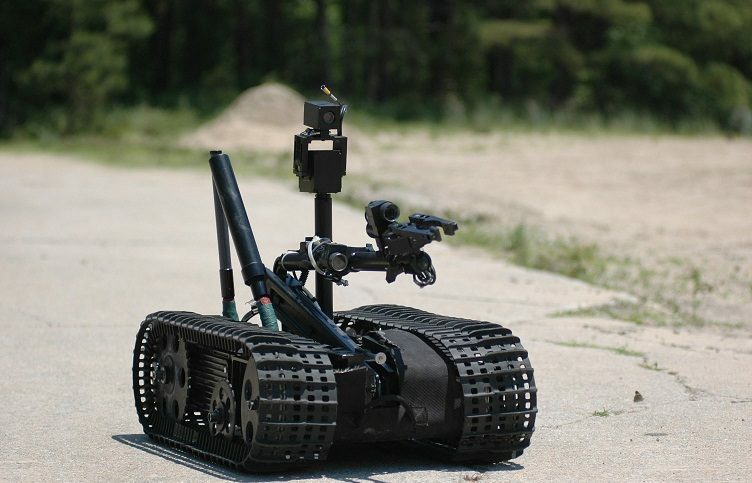 A leading robotic defense contractor for wireless video transmission modules for use in military remote ordnance disposal applications awarded a $343,000 order to xG Technology, a provider of wireless video solutions. xG Technology supplies its products to broadcast, law enforcement and defense markets, and private mobile broadband networks for critical communications. The order was awarded to xG’ IMT Vislink business. IMT Vislink video transmission products provide enhanced situational-awareness capabilities in mission-critical environments such as covert surveillance, tactical-systems monitoring and strategic detection, according to imt-solutions.com. Among the products included in the solution are IMT Vislink VSRx receivers and VSTx transmitters. The VSRx is a ruggedized dual-diversity COFDM receiver offering RF performance combined with high ease of operation. The VSTx is an ultra-compact COFDM video/audio/data transmitter that transmits images in a line of site environment for more than 200 meters. They both feature AES decryption capabilities, making them ideal for public security monitoring, covert surveillance, and other secure transmission applications. xG’s brand portfolio includes Integrated Microwave Technologies (IMT), Vislink, and xMax. The company also has a dedicated Federal Sector Group (xG Federal) focused on providing next-generation spectrum sharing solutions to national defense, scientific research and other federal organizations.